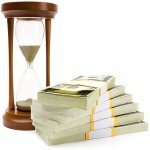 ﻿ When Is the Right Time to Sell Gold? In investment, you’ve heard the familiar adage: “buy low, sell high.” It’s a timeless truth and a brilliant piece of advice. But there’s only one problem: figuring out how to buy low and sell high! When you’re working as an investor in today’s markets, or even simply selling or buying materials out of your home, one of the most crucial questions to answer is simple: when to pull the trigger. As a commodity traded internationally, gold can qualify as an investment for both of these types of investors. Wealthy people with large bank accounts can buy into gold, or your average stay-at-home mom can sell some of her unwanted broken jewelry: both are engaging in the gold market. It’s crucial in both cases that you take your investment of gold seriously, and this means knowing when to unload. In this article, we’ll focus primarily on private gold sellers who are selling old or unwanted jewelry and scrap gold. In order to better answer the question “when is it the right time to sell gold,” we’re going to look at the different situations that many gold sellers will encounter in the market these days. Situation #1: The U.S. Dollar is strong. For many people, one of the market fluctuations to watch is the value of the American dollar against gold. It might sound like a lot of market mumbo-jumbo, but understanding these rates can mean the difference between dollars earned and dollars lost. Keep in mind that when you’re selling your gold, you’re really only making a trade. In return for the gold you provide a broker, that broker will then provide you with a currency – typically the U.S. dollar. Just like owning the gold was an investment, you can consider “owning dollars” as a type of investment, as well. That’s why in Situation #1 you’ll want to sell gold when the U.S. dollar is strong. Transferring a bit of gold into $100 will mean different things when $100 can buy you a television as opposed to $100 only buying you a book. When the dollar is strong and gold is stagnant, you’ll want to think about possibly selling your gold. For any international sellers of gold, you might consider substituting your native currency in for “U.S. dollars.” The value of gold as well as currencies is monitored at a highly specific, timely level. Situation #2: You need the quick cash. When we look at your situation from a personal-budget perspective rather from an investing perspective, we have to acknowledge that sometimes, the gold you own can serve as a fallback option during tough times. Even if the market conditions aren’t optimal, if you simply need quick cash and can part with your gold, it may be time to sell. Again, this approach will typically ignore market conditions, which fluctuate a little but not enough to render your gold as anything but extremely valuable. The important things to consider in this situation are the long-term effects a quick sale of gold might have on your finances. Will you be able to make gains after this sale? Will this sale help you get back on your feet and creating wealth again? Too many times, investors or private sellers hesitate unnecessarily, simply because they think conditions might “still improve.” If conditions are ripe for selling gold (see situation #1), but you think they can get better, it might actually serve you to sell your gold sooner rather than later. Why is this? Although you risk not maximizing your investment by cashing in, you also risk a drop in conditions if you continue to wait. The truth is, no one can predict the future, so selling while you stand to make major gains is always a smart move. Sure, you might miss out on something greater, but many times this is simply the bait that lures investors into bad decisions. Don’t make the same mistake. If you’re considering selling gold, perhaps one or more of the above situations resonate with you. Selling gold isn’t a decision you should take lightly, especially if you plan on selling large amounts of the precious metal. Try to remove emotions from the equation as much as possible and ask yourself what you would do from a strictly financial perspective. From this perspective, you might gain new insights and reach conclusions that you wouldn’t have seen otherwise. If you can avoid it, try not to sell gold out of desperation or fear. Instead, educate yourself so you can make better, more informed decisions.